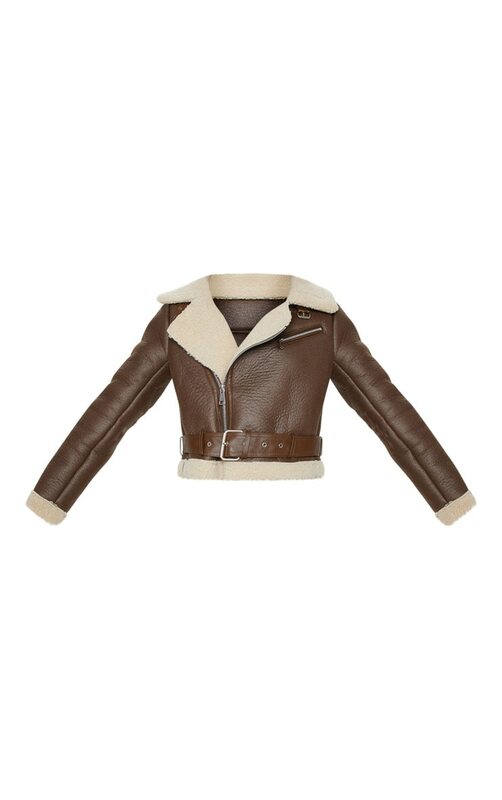 This season is all about aviator jackets. 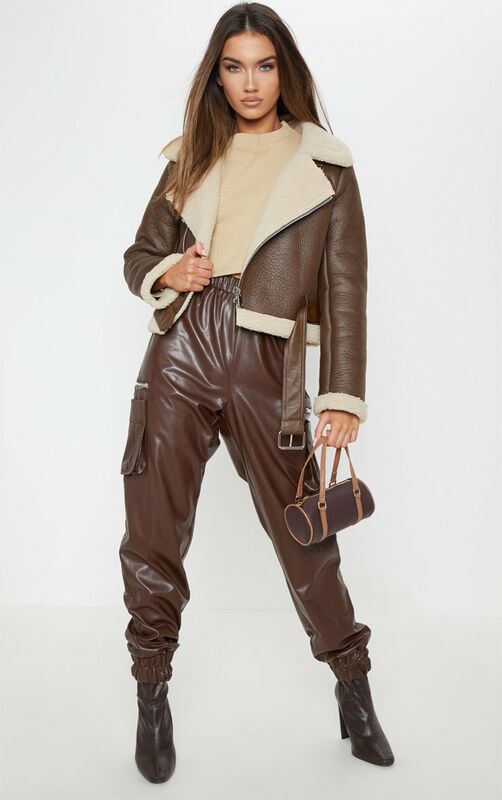 Featuring a brown faux leather fabric with a faux fur lining, cropped length and an oversized fit, what's not to love? Style this aviator with brown faux leather pants and black boots for an A/W look we're loving.